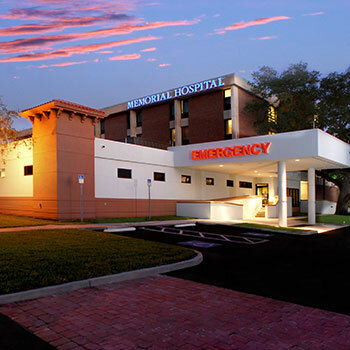 Memorial Hospital of Tampa, a member of HCA West Florida Division, has been providing comprehensive healthcare services for residents of south Tampa for more than 40 years. The 183-bed acute care hospital is accredited by the Joint Commission and provides 24-hour Emergency Care, Behavioral Healthcare, Cardiovascular Services, General Surgery and Imaging & Diagnostic Services. 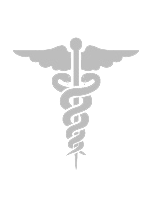 Other specialized services include an accredited Diagnostic Sleep Lab, Digestive Health, Digital Mammography, Health 4 Seniors, Interventional Radiology, Inpatient & Outpatient Physical Rehabilitation, Robotic Surgery, Ophthalmology, Orthopedics, Speech & Language Services, Weight Loss/Bariatric Surgery, Women’s Health, Wound Care and Hyperbaric Medicine. Memorial Hospital is certified by the Joint Commission as an Advanced Primary Stroke Center.